Your furnace has a big job: providing heat in the wintertime, keeping you, your pipes, and your family from freezing. But furnaces aren’t perfect, and over time they can break down, stop working, or lose efficiency, which can cost you a pretty penny in energy expenditures. At Van Drunen Heating & Air Conditioning, we want to make sure that your family is kept comfortable during the coldest of months, and provide all of the furnace services you could need as such. Gas-fired furnaces. Gas furnaces are fueled by either natural gas or propane, although the latter is usually more expensive. Oil-fired furnaces. Oil-fired furnaces are much more dated, although they are still found in some homes throughout Illinois. Unfortunately, many of these systems are old and inefficient, leading to significant energy losses. The Department of Energy further explains that while older systems may only have an efficiency rating of around 56 to 70 percent, modern systems have the potential to be more than 98 percent energy efficient! Upgrading your system can save you hundreds of dollars in energy and repair costs over the years. Furnace maintenance. Maintaining your furnace is one of the best ways to ensure its longevity and prevent against more expensive repairs later on. We perform affordable maintenance on a regular basis. Furnace repair. When something does break down on your furnace, being able to call a professional who offers fast repairs is crucial to your comfort. We have the skills, tools, and parts necessary to provide efficient repairs in a timely manner. New furnace installation. 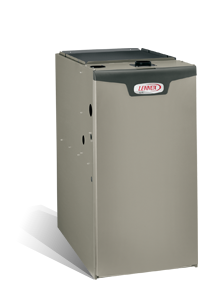 If your furnace is on its last leg, or if you simply want to improve energy efficiency, new furnace installation may be the right move for you. 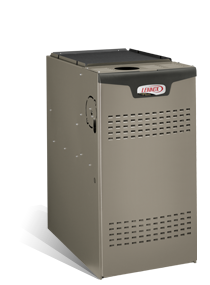 When can guide you through the many furnace options, helping you to choose the one that’s right for your needs and budget. At Van Drunen Heating & Air Conditioning, we know that you want to maintain comfort in your home while also finding a solution that fits within your budget. Our service technicians keep things simple, providing you with the exact services you need without ever giving you the ring-around. We guide you through all of your options, and then help you make the decision that makes the most sense for your needs and your checkbook. Customer service is a top priority, and we believe that our relationship with our customers is a key part of why we have been able to stay in business in South Holland and surrounding areas of Illinois for 50 years. We promise to provide you with superior services that you can trust – read some of the testimonials on our website to see what our customers are saying. We are ready to help you. To learn more, please contact us today by phone or online to request a free quote. Write us a message via our website, or call our offices directly 708-339-6444. Gas furnaces provide warm, consistent heat for your Chicagoland home or business by creating and circulating warm air through the duct work of your house and transferred to your house or business. The heat to create the warm air is created by burning natural gas. The hot gases and heat that is created during the combustion process is transferred through a heat exchanger which is basically just a series of curved metal tubes which passes through the air path of the unit. As the heat passes through the pipes it is transferred through the metal and into the air passing over it heating it in the process. The left over gasses are then passed out of the system through a metal or plastic vent pipe and into the outside atmosphere.